Below I’ll add a third layer of electric piano and manipulate volume, panning, and more. Next, we’ll add an electric bass sound and modify the key ranges so the bass sound plays only in the left hand while the piano/strings/electric piano layers play in the right hand. There’s really no practical limit to the number of sounds and effects that can be added to custom instruments – you could literally have different instrument play on every note. You might never go that far, but don’t be afraid to experiment with Mixcraft’s nifty stacking and splitting capabilities! I can not express how much I appreciate your tutorials. They open up a whole new world for me. Keep up the excellent work. I am looking forward to your next post. Trying to get authentic orchestra sounds using Mixcraft (my version is Mixcraft 5.2), but am having trouble doing so – doesn’t have enough ‘punch’ to it and tends to sound tinny. However, when I play using my Yamaha keyboard with ‘Orchestral Strings’ chosen in Mixcraft, it sounds rich and realistic. Mixcraft guys tell me it’s due to the way their software deals with the MIDI in my keyboard. Is there anything in particular I can do to make Mixcraft sound more like my keyboard? There are orchestral virtual instruments such as Vienna Symphonic orchestra or Garritan Personal Orchestra that have lush full samples in many ways. However, you will probably need 64 bit for that, which means that you probably should download version 7.1 and give it a whirl. Version 7 is only a $30 upgrade from version 5.2. Re effects on the virtual instruments. 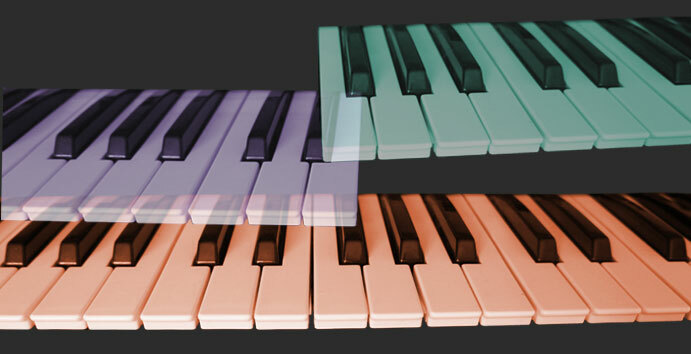 Can I set customized effects for different virtual instruments (if say I’m layering different virtual instruments.) Like say for example using your videos, reverb for just the piano, and slight slap delay for bass? But separate from each other?